Sat., March 25, 2017, 7:17 p.m.
From the preseaon practices to a long run as the nation’s top-ranked team to the Bulldogs’ first-ever appearance in the Final Four, The Spokesman-Review has been with Gonzaga for the entire history-making journey. With the largest group of reporters and photographers to ever cover the Zags, Spokane’s hometown newspaper is now partnering with book publisher Pediment to produce a 144-page, hardcover book. The season’s most amazing photos, game stories and columns, as well as profiles on key players, will make up this high-quality collector’s edition. Pediment has published similar sports books with newspapers like the Los Angeles Times, Denver Post, Oregonian, New Jersey Star-Ledger, Arizona Republic, Charlotte Observer and Orlando Sentinel. 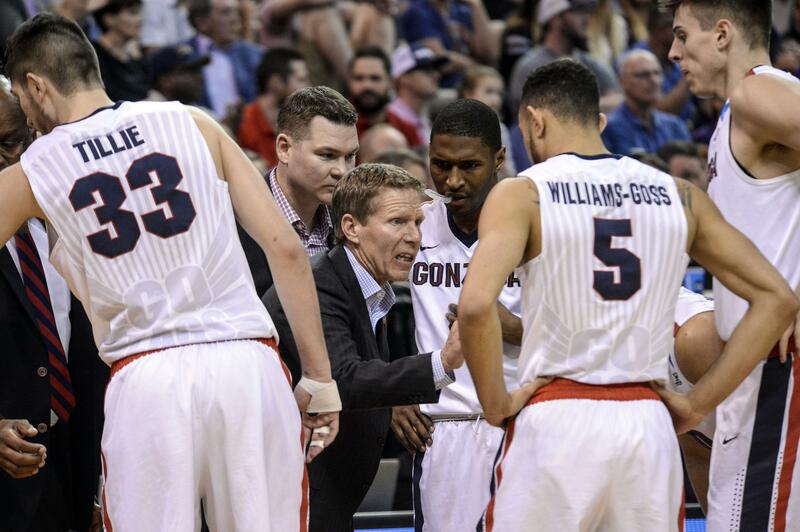 The pre-order cost for The Spokesman-Review’s in-depth look at Gonzaga’s breakthrough season is $24.95. When the book is released in May, it will then cost $34.95. Use this link to pre-order now at the $10 discount. Published: March 25, 2017, 7:17 p.m.